An international conference of countries which have influence on events in Syria is scheduled for this Saturday in Geneva. It aims to try to find a solution to the crisis. Iran hasn't been invited, despite earlier statements from the UN's Syria envoy Kofi Annan that it should be part of the peace process. RT talks to Sara Marusek, researcher from Syracuse University in Beirut. In this episode, Max Keiser and co-host, Stacy Herbert, demand the big banks prove they are not dead by removing the life support systems, especially cufflinky Jamie Dimon's Too-Big-To-Fail bank. In the second half of the show Max talks to Professor Steve Keen about the wages being negatively related to the level of interest rates and debt. In the second half they talk about European debt. They propose bailing out the people and letting the banks fail and also touch on Soros' comments about having a proper European central bank. Agricultural giant Monsanto is best known for their production of pesticides and genetically modified foods, but they have a controversial history as a chemical company with a slew of toxic cover ups. In addition to their battle against small farmers, the newest buzz about the corporation is the speculation that their GM seeds are linked to the die off of bees. A report from cyber security firm McAfee indicates that a large scale, widespread attack is taking place on the financial system with some 60 banks affected so far. According to the report, a virus installed on banks' computers has allowed approximately $2.5 billion to be stolen from large corporate accounts. The theft is ongoing as international law enforcement agencies are working to identify the hackers. false flag to hide the cover up of bank runs? 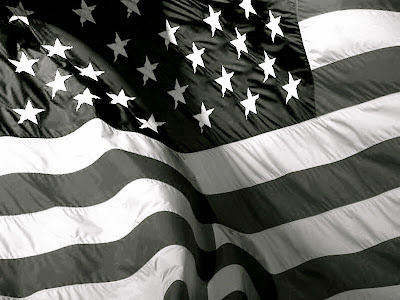 Attorney Richard Gilbert explains that American popular support for Presidential Candidate Ron Paul is so strong that it was impossible for Americans to tolerate blatant criminal acts that were being repeatedly committed to steal the election. Ron Paul’s nomination is too important and his legacy so respected that millions of Americans are demanding Romney be disqualified for election fraud. A mountain of evidence has been amassed from Team Romney’s careless trek from state to state breaking multiple election laws as an organized crime syndicate. While Team Romney keeps spinning news on his differences with President Obama his lawyers and the RNC are now stuck with the impossible task of refuting literally hundreds of Republican plaintiffs who have signed onto the lawsuit and corroborated it with a mountain of very solid graphic video evidence. Joe lays it out very well in language so simple that even the dumbed down can understand. A United Nations Group of Experts has uncovered information revealing Rwanda’s support for a Congolese rebel leader who is wanted internationally for using child soldiers. But the UN report, completed earlier this month, has not been released because of the section about the Rwandan involvement. U.S. ambassador to the United Nations Susan Rice has been accused of applying pressure at the Security Council in order to protect the United States’ Rwandan ally, President Paul Kagame. Kagame was reelected president in 2010 with 93% of the vote. Just a reminder to show that Obama's Administration is little different from any of the other recent US Administrations. 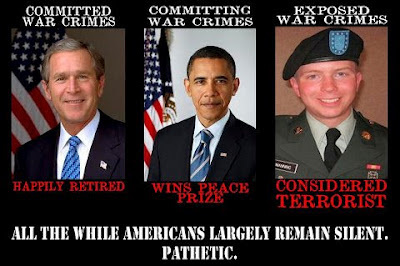 Obama is just the public relations guy for the military industrial complex. In this episode, Max Keiser and co-host, Stacy Herbert, discuss the world looking for people looking for economic salvation in gold, the Eurozone and emerging markets and ask "what kind of stupid people put precious money into messy banks?" In the second half of the show Max talks to former market maker and newsletter writer, Rick Ackerman, about inflation, deflation, the euro and the student loan market. The landing of this Rover seems like a very complicated affair. I know that the Spirit and Opportunity Rovers were safely landed WITHOUT the "skycrane" technique. Perhaps NASA should use a tried and tested method? Hopefully the landing goes well. The downing of a Turkish plane by Syria was an act of self-defense against a violation of its sovereignty, the Syrian foreign ministry has said. Damascus insists it was within its right to open fire on unidentified aircraft violating its airspace. A high speed unidentified aircraft, at low level, is usually seen as a threat by anti-aircraft defenses. It is somewhat understandable that the Turkish F-4 was shot down. Nevertheless, the Syrian crew on the ground could have showed more restraint since they are not actually in a hot war - apart from the conflict on the ground against the "rebels". These guys are catching on to things that people like Peter Schiff have been saying for at least 10 years. Remember the bailout (taxpayer) money has been directed to the reckless bankers. The banks should have been wound down with depositor money protected. The basic idea is: A new "debt redemption fund" would be launched, which would have the ability to buy up sovereign debt funding itself via ECB backed Treasuries with the safest risk weighting. In exchange for countries being able to fund itself via that fund, they would have to agree to various structural reforms. Any failure to deliver on reforms would get a penalty, but not a fatal one. Eventually after all the reforms were made, a more complete fiscal union/Eurobonds scheme could be enacted. The banker (sovereign) debts are massive and largley unrepayable. This scheme is a ploy to service the debt load over a longer time frame and kick the can down the road. Eventually these institutions will have to take a haircut and realise the losses: "You can ingnore reality but you cannot ignore the consequences of ignoring reality." More than ONE THOUSAND SEVEN HUNDRED experts now say that the attacks on the World Trade Centre Towers (and Building 7) were an inside job. Conservative estimates indicate that the 2010 BP oil disaster released over 200 million gallons of oil into the Gulf, followed by at least 1.8 million gallons of dispersants. While the use of dispersants helped mitigate the public relations disaster by preventing the persistent formation of surface oil, as well as keeping many beaches visibly untouched, they also drove the oil deeper into the water column (and food chain) rendering a 2-dimensional problem (surface oil) into a 3-dimensional one. Additionally, research indicates that dispersants prevent the biodegradation of toxic oil components, as well as increasing dispersant absorption into fish from between 6 to 1100 fold higher levels. In this edition of the show Max interviews Greg Hunter from USAWatchdog.com. He talks about the European debt crisis and the impact of Euro collapse on US economy. Greg is the producer and creator of Greg Hunter's USAWatchdog.com. This is an excellent interview full of analyses regarding the sovereign (banker) debts, the derivatives casino, and looting assets. Watch it, watch it. In 2008, Iceland didn't bail out the banksters they Arrested them. Now there economy is growing faster then the EU's. More arrests were made today. Google: "Iceland arrests bankers" and learn about this. Tim McVeigh was visited by the United States' premier MK-Ultra mind control specialist just prior to waiving all his appeals and requesting to be fast-tracked to federal execution. Story thanks to John-Michael at Debunking the Debunkers. Rogan's point about the massively screwed up system should not be taken lightly. We are in extremely serious trouble. The Pentagon budgets half a billion dollars to market its wars in the US. Call it public relations or call it propaganda, it's meant to win the hearts and minds of Americans. But is it coming at the price of the truth? In this episode, Max Keiser and co-host, Stacy Herbert, discuss smashed watermelon and dead rat collateral and the fraud flow of a less than zero balance sheet. In the second half of the show Max talks to economist, Constantin Gurdgiev, about intergalactic bailout bonds to the rescue and other crazy ideas to solve the global debt catastrophe and the significance of the gold collateral to Germany's idea of a European Redemption Fund. Watch the show if you want to know what is really going on with the financial markets. Moody's has slashed the ratings of fifteen of the biggest banks in Europe and the U.S. in the latest slap in the face to the ailing financial sector. Those hit include Goldman Sachs, Morgan Stanley, Royal Bank of Scotland and Deutsche Bank - financial powerhouses domestically and internationally. The move could make it more expensive for the banks to attract funds. It's also feared the downgrades could trigger fresh market panic, and a new exodus to gold. For more analysis RT talks to RT's financial guru Max Keiser, who joins us from the International Economic Forum in St. Petersburg. Syrian air defenses have destroyed a Turkish fighter-jet, after it violated airspace in the country's north. Ankara however is now vowing 'decisive action' in response. Colin Cavell, an academic and Middle East specialist, talks to RT. He says the intrusion into Syrian airspace by a Turkish warplane, was no accident. Good analysis on the Syrian shootdown of that Turkish F-4. This incident might be a pre air war ruse so that they can map Syrian responses and plot the positions of air defense systems. "People have to realise that 53 cents of every dollar that they are paying into taxes is going to the military to an astonishing figure there is an enormous, enormous amount of money being blown on war an killing and destruction." Soooooooo ... we have radioactive seafood in the Pacific, but the US Government doesn't think we need to test for that, and we have oil and corexit contaminated seafood in the Gulf of Mexico, but the US Government doesn't think we need to test for that, and we have toxic byproducts in GMO crops, but the US Government doesn't think we need to test for that, and we have massive evidence of rampant election fraud, but the US Government doesn't think we need to test for that, and we have out-of-control financial swindles all across Wall Street, but the US Government doesn't think we need to test for that ... but by golly the US Government WILL test newborn babies to make sure they are not using the dreaded evil weed!!!!!!!!! We are all in serious trouble. This situtation is precisely the result of living in a corrupted society. "Michele Leonhart, the head of the Drug Enforcement Administration, ducked a tough line of questioning from Rep. Jared Polis (D-Colo.) on Wednesday, refusing to answer a number of questions about the comparative health impacts of marijuana and other, harder drugs. UN observers say they're committed to completing their mission in Syria, seen as key to ending violence, despite the earlier decision to halt it because of security risks. Observers claim they've been given safety guarantees by the Syrian government, but not from the opposition. There's been a spate of fighting in the country, with a major media war also gathering pace. A very sensible story from RT on false reports regarding Syria, Iran, Russia and China appearing in the mainstream press. The spreading of propaganda such as this leads to War - look at what happened with Iraq. For several months, Attorney General Eric Holder has stonewalled the Congressional Oversight Committee by withholding subpoenaed documents pertinent to the investigations of the Fast and Furious gunrunning scandal and the deaths of Border Patrol Agent Brian Terry and ICE Ageng Jaime Zapata. Now in a spectacular move right out of the Richard Nixon playbook, Eric Holder submitted a letter to Barack Obama requesting him to invoke executive privilege over these subpoenaed documents. Obama has honored that request. According to Judge Napolitano, we may be on the precipice of a constitutional confrontation between the executive branch, the White House, and the Congress. Executive privilege is defined in the leading Supreme Court case, interestingly United States v. Nixon, that’s Richard Nixon, that’s the Watergate-era. Despite the efforts of the special prosecutor to subpoena tapes from President Nixon, this executive privilege was construed by the government as protecting conversation with the President himself. Even thought the high court agreed, they ruled against Nixon citing the public’s right to know. “Until now, everyone believed that the decisions regarding ‘Fast and Furious’ were confined to the Department of Justice. The White House decision to invoke executive privilege implies that White House officials were either involved in the ‘Fast and Furious’ operation or the cover-up that followed,” said Speaker John Boehner’s (R-Ohio) spokesman, Brendan Buck. “The Administration has always insisted that wasn’t the case. Were they lying, or are they now bending the law to hide the truth. In this episode, Max Keiser and co-host, Stacy Herbert, discuss economic Jack and the Beanstalk style miracles that look a whole lot like simple ponzi schemes that Lilliputian financial journalists fail to report. In the second half of the show Max talks to Satyajit Das, author of Extreme Money, about the European debt crisis, how much longer Germany can stay solvent and whether German banks would have survived if the Irish taxpayer had not bailed them out in the first place. This is what should be happening on Wall Street and in the City of London. Thanks to John-Michael at Debunking the Debunkers for the story. Please visit the link for more information. Hidden US-Israeli Military Agenda: "Break Syria into Pieces"
The objective of the US sponsored armed insurgency is --with the help of Israel-- to "Break Syria into Pieces". The "balkanisation of the Syrian Arab Republic" is to be carried out by fostering sectarian divisions, which will eventually lead to a "civil war" modelled on the former Yugoslavia. Last month, Syrian "opposition militants" were dispatched to Kosovo to organize training sessions using the "terrorist expertise" of the US sponsored Kosovo Liberation Army (KLA) in fighting the Yugoslav armed forces. One possible "break-up scenario" pertaining to Syria, which constitutes a secular multi-ethnic society, would be the formation of separate and "independent" Sunni, Alawite-Shiite, Kurdish and Druze states: “We need to break Syria into pieces,” Abbas said. (Quoted in JP, op. cit., emphasis added). "The Syrian Kurdish dissident argued that a federal Syria, separated into four or five regions on an ethnic basis, would also serve as a natural “buffer” for Israel against both Sunni and Shi’ite Islamist forces." (Ibid.). "I Can't See The Difference? Foreign Policy We Get Barack Obama We Get George Bush Both Pro War"
A good interview. Paul also makes a point at the end indicating that social security is not simply Government welfare - it's a contract. People pay into a fund and the fund covers them. However, over the course of the years, the Federal Government stole this money so that there is nothing left. In this episode, Max Keiser and co-host, Stacy Herbert, discuss whether elites are failures and losers or whether they are acting in show trials while wearing Presidential seals of approval. They also review Bloomberg's lawsuit seeking evidence of tacit collusion between the EU and Greece regarding Goldman Sachs' swap deals to hide its debt. In the second half of the show Max talks to economist, professor and Member of Parliament in Tunisia, Moncef Cheikhrouhou, about building real economies so that the next generation will inherit olive trees not debts. Inspiring. The people are taking over. These Lawyers have recognised the corrupt people undermining the Ron Paul campaign. Awesome straight talk. Remember, Obama and Romney are controlled assets of the bankers and warmongers. Confirmed: Ron Paul Will Not Endorse Mitt Romney - Listen Why! The debt money system explained. It also provides an argument for a viable money system not based upon Gold. Money according to the doco is a tool, and its value is controlled through its use or misuse, not its inherent value. Wood "notes" were used in the UK at certain stages and it worked. Although I think that some of the historical narrative may be questionable, this documentary is worth checking out because of the notion of government issued money, rather than bank issued debt based money. The success of managing economic activity and entrepreneurship relies on issuing just enough money to get the job done and not excessive amounts that can cause bubbles. RECAP: 911 Truth - What Does a Building "Engulfed" in Fire Look Like? Remember: The official story for the collapse of WTC7 is that it came down due to fires. 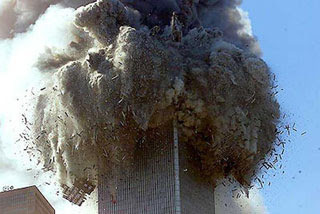 However, all the evidence indicates that this HAD to be a controlled demolition. 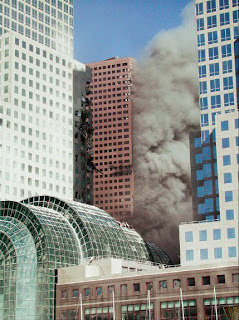 The evidence that fires could have brought down WTC7 is weak to non-existent. And recall that the official NIST report contains proven falsehoods (lies) in order to push their unbelievable narrative. According to this video Stuxnet has been active since at least halfway through 2010. Did this virus contribute to the 2011 Fukushima disaster ??? In this edition of the show Max interviews Nomi Prins from nomiprins.com. It is the size of a bank holding company's deposits that dictates the extent of the risk it takes, risk 'models' not withstanding: the more deposits, the more risk, the more potential loss. And the more access to other people's money, the greater the gambling incentive. The largest banks hold deposits (people's deposits) hostage in the global game of financial warfare. Related access to capital and bailouts are enabling weaponry in the fight for worldwide institutional supremacy. A really excellent interview that explains what is going on in the financial markets and history lesson. Sadly we now find ourselves in a word where six massive media conglomerates literally control the entire “mainstream” media. 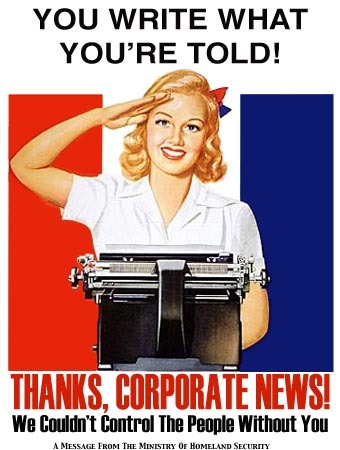 These six corporations, (largely owned by Zionist and Globalist operatives) Time Warner, Walt Disney, Viacom, Rupert Murdoch’s News Corp., CBS Corporation and NBC Universal are responsible for countless lies, propaganda pieces, death, and the ultimate dumbing down of America. When you take even a small look at the companies that run under the six corporations listed above, a clear pictures emerges. Backed by the Pentagon's research arm, Monrovia firm AeroVironment has developed the Nano Hummingbird, an experimental miniature drone that could one day do reconnaissance by landing on a window ledge. The New York Times continued by stating, “Mrs. Clinton’s claim about the helicopters, administration officials said, is part of a calculated effort to raise the pressure on Russia to abandon President Bashar al-Assad, its main ally in the Middle East,” indicative of the campaign of propaganda and lies orchestrated by the US State Department, the British Foreign Office, and Western and Gulf State news outlets around the world to demonize both the Syrian government and its extensive allies around the world, contrary to the facts on the ground. Also adding to the torrent of propaganda was Human Rights Watch (HRW) and US State Department-run Amnesty International, both of which are funded by convicted criminal, Wall Street speculator George Soros, which attempted to level charges of “abuses” by Syrian forces, as always based solely on the “witness accounts” of admitted members of the opposition. The United Nations as well attempted to frame Syrian forces for using “children” as human shields. Despite having 300 monitors on the ground in Syria, again, the report was compiled solely using opposition “witness accounts,” reminiscent of a late 2011 UN human rights report also compiled from opposition hearsay, in Geneva – not even Syria – and compiled by Karen Koning AbuZayd. 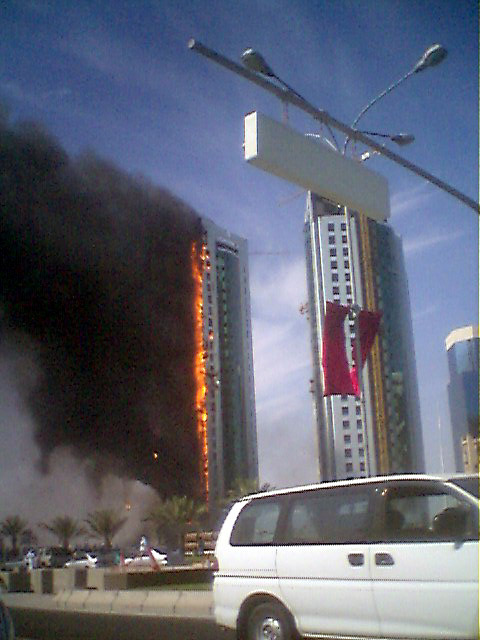 AbuZayd is concurrently a member of the Washington D.C. based Middle East Policy Council, along side current and former associates of Exxon, the US military, the CIA, the Saudi Binladin Group, the US-Qatari Business Council and both former and current members of the US government – illustrating an immense conflict of interests and devaluing the UN’s credibility to unprecedented lows. However, as evidence continues to point the finger at opposition sectarian extremists for the massacre at Houla, Syria, and at NATO-armed foreign fighters filtering into Syria to repeat atrocities now fully documented in Libya, organizations like Amnesty, HRW, and even the UN itself are increasingly losing credibility to convince all but the weakest of minds. Despite this, the West continues to seek ways of arming sectarian extremists operating in Syria under the banner of the “Free Syrian Army” (FSA), with the Washington Post confirming in their article, “Syrian rebels get influx of arms with gulf neighbors’ money, U.S. coordination,” that weapons, cash, and logistical support is indeed being provided to terrorist forces in Syria by the United States, Saudi Arabia, Qatar, and other Gulf States even as the West berated the Syrian government for “violating” the terms of a ceasefire allegedly being brokered by Kofi Annan. The West is doing in reality what they admittedly are lying about Russia doing for the sake of “raising pressure,” with Russia in turn leveling much more credible accusations against the US for arming sectarian extremists in Syria. The Western press is now intent on portraying the violence in Syria as a “civil war,” despite the fact that the vast majority of weapons, cash, and fighters constituting the “Syrian opposition” are actually foreign. In this episode, Max Keiser and co-host, Stacy Herbert, discuss Libor traders who rigged global interest rate market escaping charges while Iceland sentences bankers to four year prison terms. At the same time, Iceland's central bank is raising interest rates to deal with a growing economy while Western bankster-riddled economies prepare for another round of money printing to deal with all the fraud. In the second half of the show Max talks to Brett Scott about financial activism, a Wikileaks for finance and collaboration with hedge funds. Global reserves have been increased by 1.9 percent from last year’s 1.62 trillion barrels to 1.65 trillion. Largest oil reserves = target of US geopolitical strategists. How could they not ? Lawyers for Ron Paul make HUGE Announcement! We are Uniting to Change the World with President Paul! The lawyers for Ron Paul have announced they are taking over the Ron Paul campaign and they will challenge every single voter fraud claim this Whole election. Romney rigged this election, & they claim they have proof. Ron Paul WILL BE ON THE NOMINATION!!! The delegates will all be UNBOUND! Cenk explains why Iceland is a perfect example for how bailing out citizens instead of banks can help an economy recover. Between 2001 and 2010, the median net worth in the United States dropped 20 percent. Meanwhile, Iceland invested in their middle class, provided debt relief for 25 percent of its citizens, and now the economy is on the rebound. “We were told here in the United States, both by Republicans and Tim Geithner, ‘That can’t work; it’ll destroy our economy,” Cenk says, but Iceland disproves that by now doing better than the U.S. and the Eurozone. The bad (insolvent) Banks can be shut down. In this episode, Max Keiser and co-host, Stacy Herbert, the european short change con in which debt and debt facilities are created and swapped at ever increasing speeds in order to defraud the population. In the second half of the show Max talks to economist Yanis Varoufakis about the ponzi austerity screwing Europeans right down to the ground with more debt. Vital information concerning the on going crisis in Europe. The Obama administration has agreed to let numerous countries be exempt from penalties under a harsh new set of economic sanctions on Iran’s oil sector, but has refused to grant China – a major importer of Iranian oil – such exemptions. The new round of sanctions are scheduled for June 28 and the U.S. has given waivers to India, South Korea, Turkey, and four other countries. They can now continue to do business with Iranian oil, so long as they voluntarily reduce their imports by significant margins. China buys as much as a fifth of Iran’s crude exports and remains the one major trading partner who will still face international penalties for continuing to import Iranian oil. After the end of the Cold War many military strategists in the US favoured the idea of maintaining the USA as the unrivaled world superpower. It is likely that US strategic thinkers want two things out of this situation- worsening relations with China, so that a new Cold War (arms race) can be created and the curtailing of China's influence in the world in general - in places such as Africa and other parts of Asia. Note that a Cold War conflict with China may encourage business investment and western manufacturing to shift out of that country and back to the US or other places. However, whether the rest of the world (BRICS) go along with such policies is another thing. Discoveries such as this increase the likelihood of life existing elsewhere in the Universe if you accept the thinking behind the Drake Equation. The new Syrian opposition leader has urged mass defections from the regime and promised support for the rebels. This, as U.S. senator John McCain has said that anti-Assad fighters are directly supplied with weapons from Arab Gulf states and wants Washington to follow that lead. International relations professor Mark Almond, says the U.S. will remain true to its idea of regime change. This interview helps explain what may be going on in Syria at present - that there has been a lot of foreign intervention in support of the more radical elements within the country. The huge danger being faced at the moment is an Iraq-insurgency type outcome where many hundreds of thousands of people are killed and millions displaced. At the heart of the case against Padilla and all Guantanamo detainees is a single label issued by the U.S. government: enemy combatant. Even though the term was supposed to have been dropped in 2009, it is still acknowledged by the courts. With this single designation, the normal rules of international law and the guarantees afforded to U.S. citizens under the Constitution become null and void. The 4th Circuit specifically stated their conundrum, as the framework of enemy combatant status essentially circumvents the American legal system. In response, they passed the buck to Congress, which they stated had not defined any appropriate remedy in their responsibility for military conduct. By dismissing this lawsuit, the appeals court handed the government a blank check to commit any abuse in the name of national security, even the brutal torture of a U.S. citizen on U.S. soil. This impunity is not only anathema to a democracy governed by laws, but contrary to history’s lesson that in times of fear our values are a strength, not a hindrance. Padilla had been trying to sue Donald Rumsfeld, torture memo author John Yoo, as well as other officials that laid the foundation and/or gave the orders for his confinement and mistreatment. However, the 9th Circuit Court of Appeals stepped up in early May of this year to reverse the ruling of a federal judge who concluded that Padilla could in fact file suit against John Yoo. However, it is the latest ruling by the Supreme Court that seems to have put the final nail in the coffin for anyone attempting to obtain justice for improper treatment at the hands of the out-of-control warmongers and torturers who have infested Washington. The Supreme Court firmly rejected a cert petition to overturn the 4th Circuit's decision, as well as having rejected 7 other appeals made by Guantanamo detainees. The highest levels of the American legal system have now decided to become subservient to whatever policy of detention the U.S. government can invent. I usually don't go for these kinds of animated videos but watch this one to the end. The rabbit seems to sum up the profit-at-any-cost mentality of the corporatists. Could Ron Paul have gotten 72% of the vote instead of 12%? Anne Beckett, election judge for Austin (Travis County), says it is so. In fact, she did an entrance poll of Republican voters for their party preference and says that a minimum of 66% offered on their own that they came to vote for Ron Paul. As she polled them she wrote a line on her hand, then, counted the total voters. A minimum of 66% and as high as 72% of all the votes went for Paul, NOT Romney (she wishes to be conservative, but says that at the bare minimum 66%, not 12%, of the votes went to Paul). What did Congress do in those 40 months? 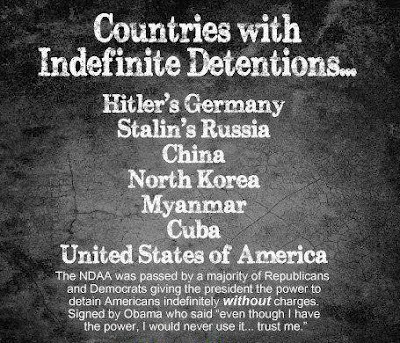 And Obama also signed the National Defense Authorisation Act (not an EO) that allows indefinite detention, without trial, for US citizens SUSPECTED of "terrorist" cooperation. Go figure. Implosion of The Houla Massacre Story — Is Anyone Paying Attention? A respected mainstream publication, the Frankfurter Allgemeine Zeitung(FAZ), has reported that the infamous Houla massacre in Syria, which the US and NATO hoped would be the casus belli for their planned invasion, was in fact carried out by rebel forces. Highlighted in the National Review, of all places, the FAZ investigation was exhaustive and convincing. “the massacre occurred during this time. Those killed were almost exclusively from families belonging to Houla’s Alawi and Shia minorities. Over 90% of Houla’s population are Sunnis. Several dozen members of a family were slaughtered, which had converted from Sunni to Shia Islam. Members of the Shomaliya, an Alawi family, were also killed, as was the family of a Sunni member of the Syrian parliament who is regarded as a collaborator. Immediately following the massacre, the perpetrators are supposed to have filmed their victims and then presented them as Sunni victims in videos posted on the internet. Is this report accurate? I would guess that it very well might be. The rebels have been caught pushing propaganda in other instances, they are heavily backed by the West, plus the corporate media, and the goal at present seems targeted toward overt foreign assistance (air strikes) against the Assad regime. The sources for this story (see link) seem credible. More truth about the financial markets than you will see in the mainstream press. A really good 300th episode. As the Fukushima radiation/debris carries west across the Pacific Ocean, radionuclide-intensely-contaminated Fukushima rivers daily rushing into the ocean, the media sleeps on the danger of the radiation. Fish contaminated with cesium are now being caught off of San Diego. Aaron Dykes recaps Bilderberg 2012 with RT's Abby Martin. A very sensible discussion about what the powers-that-be are up to - or might be up to. One thing is certain, all those high powered folks attending Bilderberg are not just sitting around doing nothing. Plus Abby Martin knows her stuff. She is obviously well aware of deceptive techniques and is very skeptical Note here views with regards to the anonymous Internet hackers and who they work for. What we have in Syria is not a popular uprising like what we saw in Egypt. What we are getting is something more akin to what happened in Libya. The situation may even deteriorate to the conditions we saw in Iraq. Although there are problems with the Assad regime, the alternative at the moment looks very bleak. To avoid more massacres and a civil war it is probably better to see Assad prevail until a time when peaceful elections can be held. In our new program - "Keiser report", hosted by the renowned financial analyst and former stockbroker Max Keiser - the most provocative questions in US politics are tackled head-on. A really excellent first episode of the Keiser Report. Notice how direct and consistent the show has been in identifying the main areas of concern - the corporate fraud, the Government acquiescence to the fraud and the media's role in hiding this information from the public. If you want some clues as to what is going on with the financial markets then you must check out the Keiser Report. What they present is, more or less, inside information from people and investigators who are familiar with the actual workings of the system as opposed to the views of cheerleaders who have a vested interest in keeping things as they are. Note: this financial information is very important to ordinary people because the games being played with big money causes untold damage to the real economy. The sort of crimes covered here ultimately results in job losses and untold hardship. It's almost two years since BP's oil spill in the Gulf of Mexico. Now, scientists say they have found deformities among seafood and a great decline in the numbers of marine life. With foreign money, fighters and equipment going to the Syrian "opposition" anything is possible. 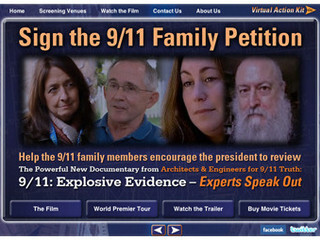 So much for the contention at 911myths.com of there being "a distinct lack of evidence for any of these exercises adversely affecting the response to 9/11." Similarly, Shoestring's article, "'Let's Get Rid of This Goddamn Sim': How NORAD Radar Screens Displayed False Tracks All Through the 9/11 Attacks," debunks the claim at the 911myths.com war games page that "there's no evidence at all that 'false blips' were in use on 9/11." 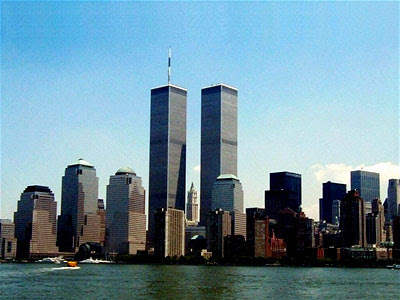 It has been claimed that Vigilant Guardian was terminated shortly after United Airlines Flight 175 became the second plane to crash into the World Trade Center, at 9:03 a.m. on September 11. However, evidence indicates it may have continued long after that time. It has also been claimed that the participation of military staffers in the exercise had little effect on their ability to protect America against the attacks, and that Vigilant Guardian may even have had beneficial effects. 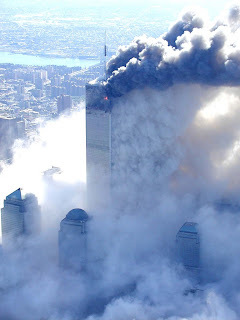 For example, in its final report, the 9/11 Commission claimed that the response to the attacks "was, if anything, expedited by the increased number of staff at the sectors and at NORAD because of the scheduled exercise." However, a significant amount of evidence casts doubt upon this claim. Again, "a significant amount of evidence" not a "a distinct lack of evidence." By John-Michael Talboo at Debunking the Debunkers.